Sodimate feed systems are widely used with sodium carbonate to remove hardness from water caused by calcium and magnesium minerals. Hard water causes a variety of problems for treatment facilities and distribution lines, such as lime scaling or mineral buildup, which can lead to clogging and equipment damage. Many people also report hard water to have an unpleasant taste. Sodium bicarbonate, also commonly called soda ash, is added to the water to react with the minerals and form a precipitate, which can then be moved through filtration or sedimentation. Sodimate soda ash feed systems are typically installed in municipal water treatment facilities. 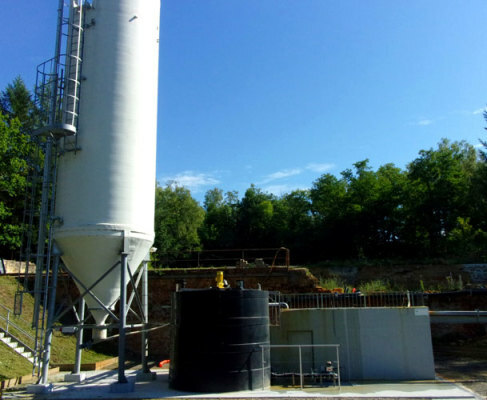 A complete feed system for soda ash handling typically includes a storage container, such as a big bag or hopper, a feeding unit and a mounted slurry system integrating a slurry tank, skid pumps and controls.